New CalPERS Realizable Pay Analysis: Equilar and CalPERS collaborated to introduce an exclusive custom five-year quantitative analysis comparing total CEO realizable pay and total stock performance relative to a company’s peers. The new five-year CalPERS Realizable Pay analysis provides better insight on how investors are evaluating pay for performance with a longer-term view and the potential impact on Say on Pay voting results. Equilar P4PTM Profile is the definitive solution used by major institutional investors for Say on Pay voting to measure the alignment of pay and performance. Combining detailed CEO pay, company performance metrics and peer information, Equilar P4PTM Profile provides an in-depth look at nine different pay definitions, allowing companies to evaluate pay from several different angles. 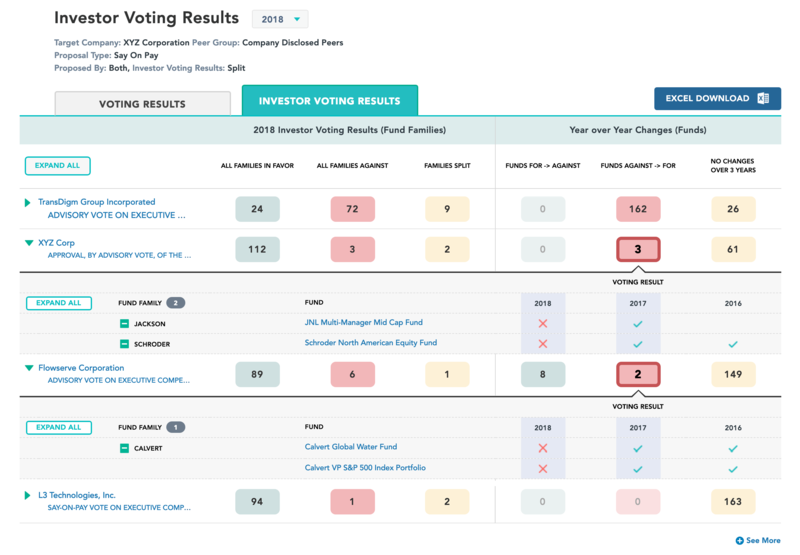 Proxy voting teams at the largest institutional investment firms rely on Equilar P4PTM Profile to provide them a quantitative analysis that is flexible in comparing different pay calculations, peer groups and time periods. 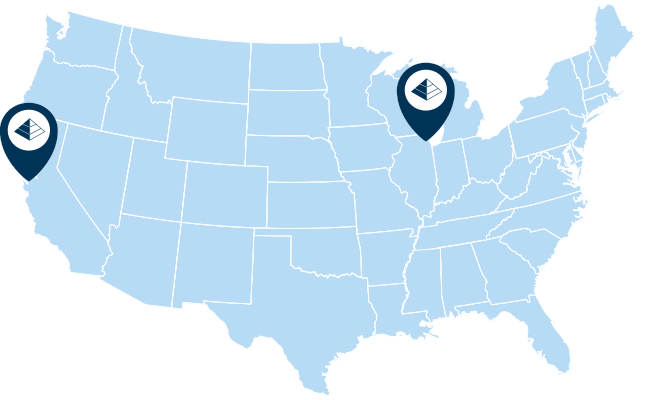 Equilar Proxy Voting Results allow you to easily analyze voting trends for all of your board resolutions or shareholder proposals. The aggregated N-PX data provides valuable insight to understand the policies and practices of your institutional shareholders. Quickly determine who is influencing the outcomes of your proxy proposals and identify key trends in corporate governance. Equilar P4P Score is a patented calculation that helps determine the true pay-for-performance value of an executive. Leveraging the vast Equilar database of compensation and company performance metrics, a P4P Score is established for executives at a target company to compare with other individuals at peer companies. The Equilar P4P Score is calculated using the executive’s compensation information, the performance of the target company and the performance of peer companies. The calculation provides for a more reliable and unbiased pay-for-performance valuation. Equilar Market Peers logically determines peer groups by incorporating the collective knowledge of corporate disclosures, rather than using arbitrary industry classifications or financial metrics. This approach provides the most accurate representation of true peer groups. As the industry standard, Equilar Market Peers is used by both proxy advisory services and institutional investors. Glass Lewis & Co. uses Equilar Market Peers to formulate its own Say on Pay recommendations for investors; while the largest institutional investors with $13 trillion in assets under management benefit from an increased level of sophistication in pay-for-performance analysis and improved data transparency in the proxy advisory market. The Equilar Say on Pay Tracker offers up-to-date voting results for Say on Pay proposals supported by data from 8-K filings. The Equilar Disclosure Search is the most comprehensive solution to accurately examine SEC public disclosures. The accessible interface allows you to search within all publicly disclosed SEC forms using a variety of filters. Results are displayed in excerpt form with the ability to click on a link to open the actual disclosure and the exact location of your search term. Consultant Engagement Index provides insight on consulting firms that are active within your business environment. Equilar allows you to search and evaluate top consulting firms that advise on pay practices and other important business decisions. Determine fit and compatibility by searching for consultants that commonly advise within your peer group and industry.